We understand that recording this special day on film is important. 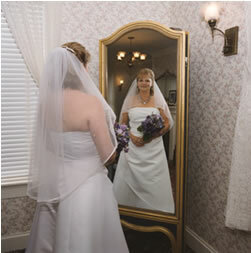 We make every effort to insure that your photographer is able to take sufficient pictures; however, the participation of the wedding party and guests in the ceremony will provide even more significant memories for the future. The focus on this day is on the vows the bride and groom are making to each other and the support offered by family and friends. Photos by friends or family members may be taken before the beginning of the ceremony and after its completion, but guests may take no photos while the service is in progress. 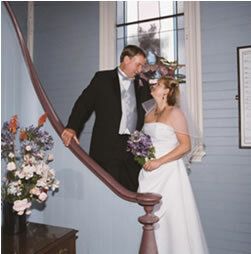 During the ceremony the officially appointed photographer or videographer may take pictures from the balcony or from the rear of the sanctuary. The photographer is asked to not stand on the seats of the pews. Absolutely no flash may be used during the ceremony. The pastor will be happy to re-enact portions of the ceremony for photos. These policies require your chosen photographer to come prepared with film that is suited to indoor shots without flash. Please keep in mind the sacredness of the marriage ceremony and the tradition and reverence upheld by the members and session of the Mendocino Presbyterian Church. Therefore, please conduct the photography with respect and reserve “cute” poses for the reception or other locations, such as the groomsmen lifting the bride horizontally. Your appointed photographer must be informed of these policies and must agree to abide by them prior to the wedding. It is the responsibility of the couple to inform the photographer of the church policies regarding photography. Your cooperation is greatly appreciated.